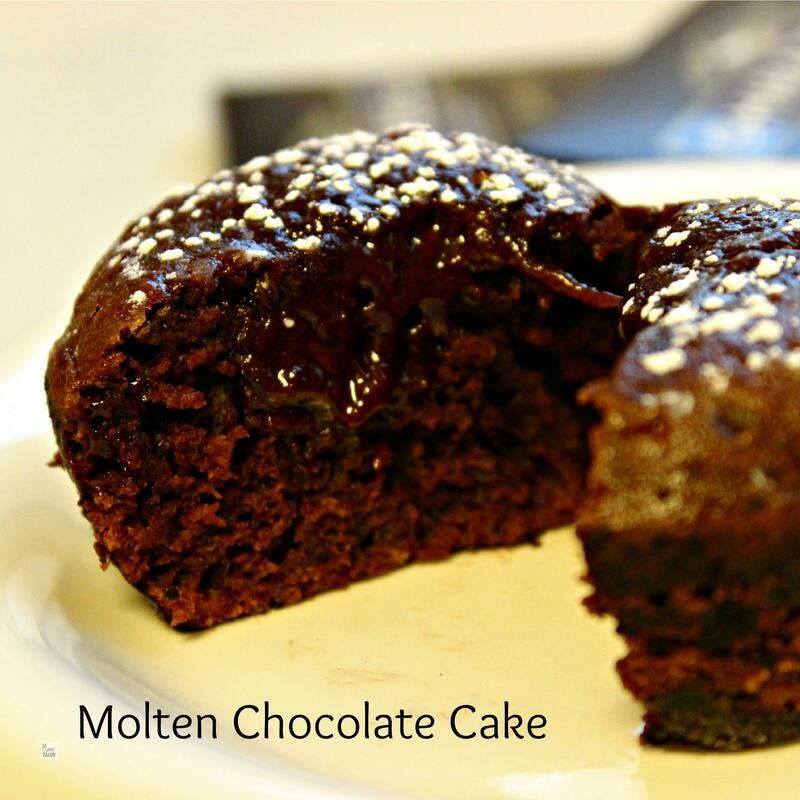 A very simple and scrumptious recipe for Molten Chocolate cake. Perfect to wow guests with a fabulous dessert that requires little prep and cooking time. Preheat the oven at 400ºF, with the rack in the middle rung. Melt the butter and the chocolate in a Bain-Marie or double boiler. You can do this with a large pan full water and a smaller pan or metal bowl inside it. Mix the eggs and the sugar well, either at medium speed in an electric mixer with a whisk attachment, or by hand with a wire whisk. Whisking continuously and at a lower speed, mix the melted chocolate and butter into the egg and sugar mixture. Fold in the flour little by little, passing it first by a sieve. Let the mixture cool off, then pour on a bakers decorating bag or a large Ziplock bag. 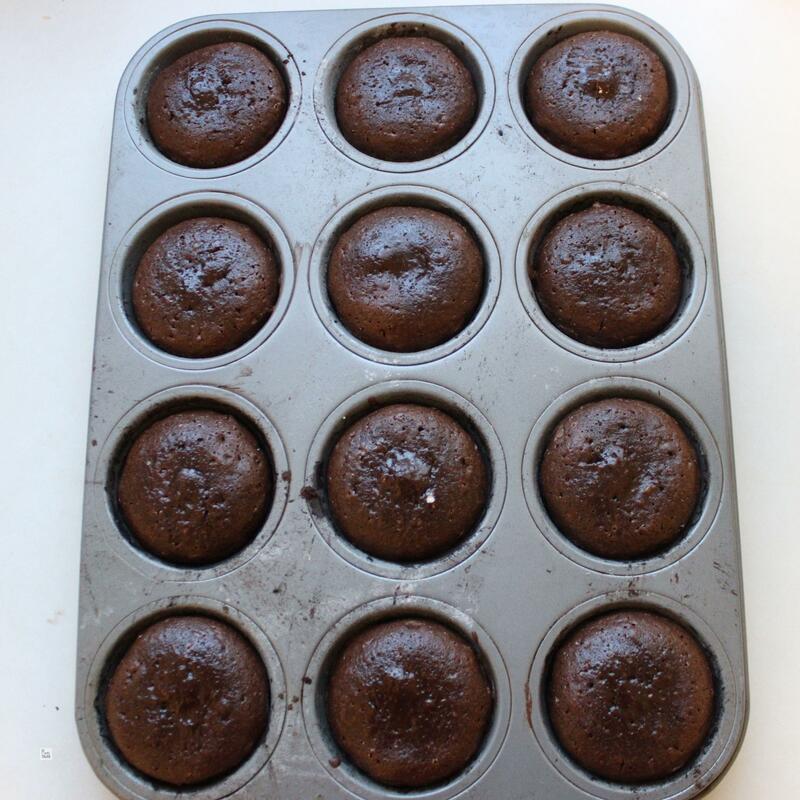 Butter a cupcake pan, then sprinkle with the cocoa powder, coating all sides of each individual cup -- this will prevent the cakes from sticking to the pan, but won't coat them with white like when you butter and flour a baking pan. Cut the tip of the pastry or Ziplock bag, then pour the batter onto the prepared cupcake pan, filling each cup up to 2/3. Place in the oven for 7 to 8 minutes and take out. The centers will be gooey. Let them cool in a wire rack for about 10 minutes before unmolding. I used a tablespoon to take mine out of the pan, and they hold well. Serve immediately and enjoy on their own, with whipped cream or vanilla ice cream. Don't use very bitter chocolates. I tried this recipe with a 80% bar, being a fan of dark chocolate. It turns out too bitter and doesn't work well at all. The original recipe from the book says to dip a coconut cuberdon (Belgian gumdrops) in the center, but I've never tried doing that. Here are a couple of pictures of the cakes right out of the oven. I sprinkled some bakers sugar on top of them, which is other way to present them too. As we were waiting for the cakes to bake, I read for them Little Miss I’s favorite French book, called “La Colére de Banshee” or “Banshee’s Wrath,” by David Sala Jean-François Chabas. It is available in Spanish too, but I haven’t been able to find it in the US in English. The story talks about a little magical girl who is throwing a gigantic tantrum, causing havoc with all elements (water, wind, fire)… and all because her little doll is lost. 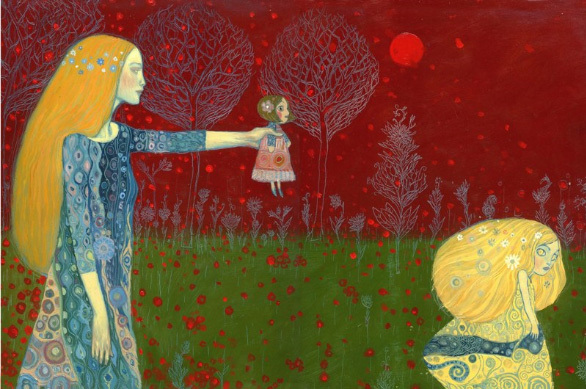 The illustrations are absolutely gorgeous, in the style of Gustav Klimt. Even if you don’t speak French, the drawings in this book are just worth having it. It is a beautiful piece of art. If you do speak French or Spanish, the story is very well written and does speak to how a tantrum feels brewing inside little children, who can cause a storm in a teacup. So, alone or to accompany this gorgeous French artwork, hope you enjoy the sweetness and liquid deliciousness of these Molten Chocolate cakes! The artwork in that book really does look fantastic! Too bad I don’t remember much from my French classes in high school. ha ha Hopping over from the Kid Lit Blog Hop. It is also available in Spanish through Amazon, if your Spanish is any better 🙂 Thanks for stopping by! 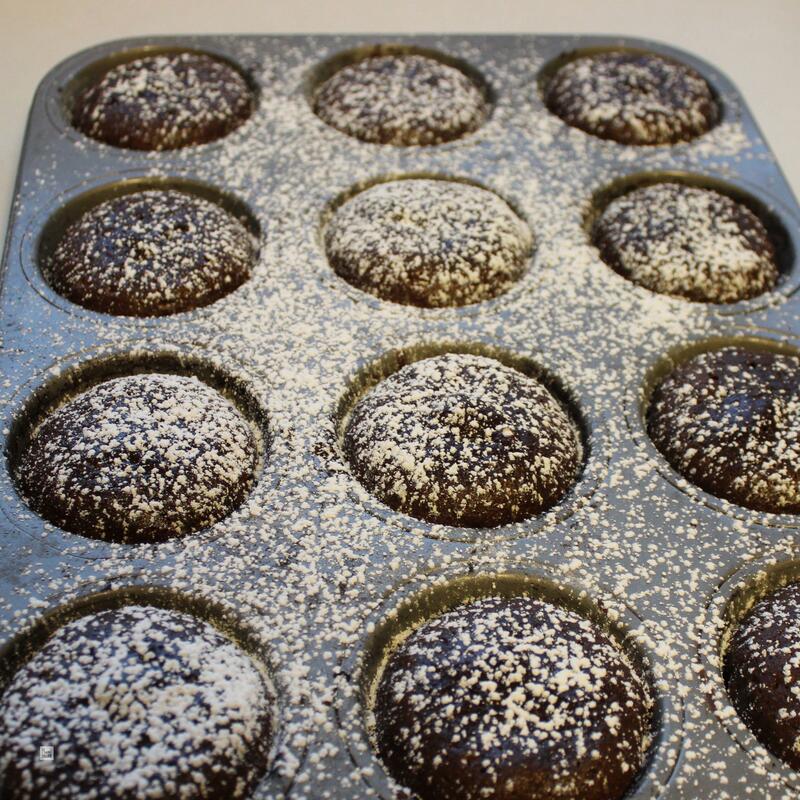 Your molten chocolate cupcakes look amazing! I love how you added in a book too though I can only seem to focus on the molten chocolate cake LOL! Thanks so much for sharing at the Kid Lit Blop Hop! How wonderful that you cook with your kids! Mia, I have a whole series of recipes and books together, as I love exploring different cultures with my kids both in stories and cuisine. Thanks for stopping by, and always thanks for all the social media shout outs! The art work is superb and the chocolate cake looks divine!! It would be awesome to read and cook using a theme from the book. I am definitely going to try this at home 🙂 Hopping on over from KidLitBlogHop. Thanks for stopping by, Reshama! Please let me know how it turns out and what you think of the book too!